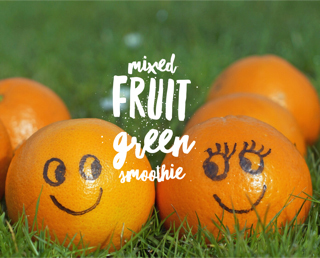 Green smoothies are handy if you’re on the move and need to something nutritious that you can pop in a small bag. They’re also useful if you have a family member who isn’t keen on eating fruit and vegetables. It’s one way of getting them to move towards taking in the requisite daily vitamins and nutrients. Place all your ingredients in the blender and blend until smooth. The nuts will slow down the absorption of the sugars into the body from the fruit juice. They also thicken the smoothie. The superfood powders add an extra kick. I hope you like it and hope also that it inspires you to experiment yourself with using up leftover fruit and veg, rather than throwing food away!